What would you do if you were faced with a war that brought soldiers to your doorstep to displace you from you home and business, and family, and place of worship? A war that defied all reason and law, that was generated from the minds of psychopaths who were capable of taking over country after country until they took over the entire world? 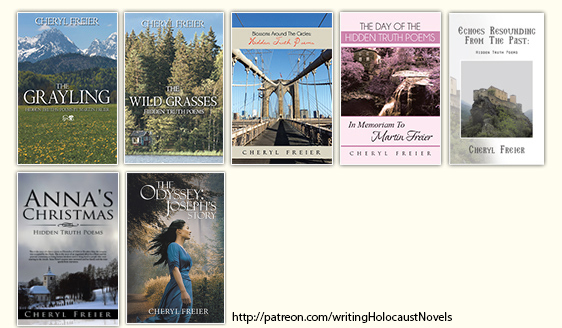 Author Cheryl Freier is fascinated by this idea, and her two books – The Grayling and The Wild Grasses – explore stories of struggle, family and finding hope through the tragedies of war.